Top off the elegance of your home with a clay or copper chimney pot. They're not just for looks—due to their tapered shape and the fact that they increase the overall height of your chimney, chimney pots can actually increase updraft. They also capture sparks and protect from pests and debris such as leaves, twigs and pinecones. Shop East Texas Brick's wide selection of sizes, styles and colors and find the perfect topper for your chimney. A clay chimney pot is very durable and typically crafted from high-fired ceramic clay, which means it can withstand the high temperatures of a chimney fire. 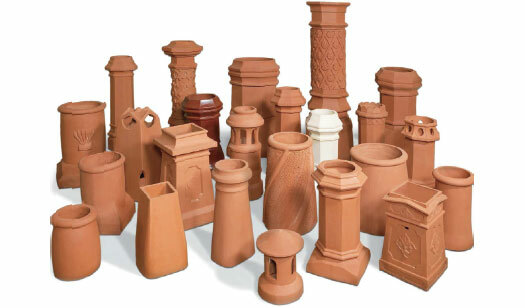 A clay chimney pot is also a beautiful addition to any home, especially a Mediterranean style. Nothing says rustic and timeless elegance like a copper chimney pot. 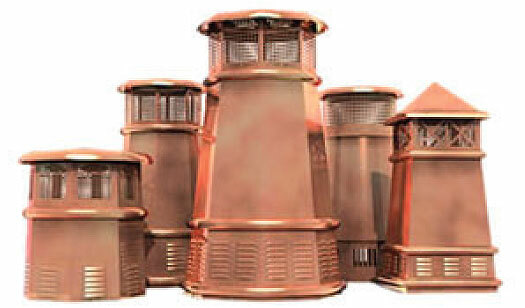 Rust-resistant and low-maintenance, a copper chimney pot will provide the functional and safety benefits you’re looking for while lending a unique architectural flourish to your roofline.